Apple released there iPhone X on November 3, it touched off an immediate race among hackers around the world to be the first to fool the company's futuristic new form of authentication. Some days later, hackers on the actual other side of the world claim to have successfully duplicated someone's face to unlock his iPhone X—with what looks like a simpler technique than some security researchers believed possible. 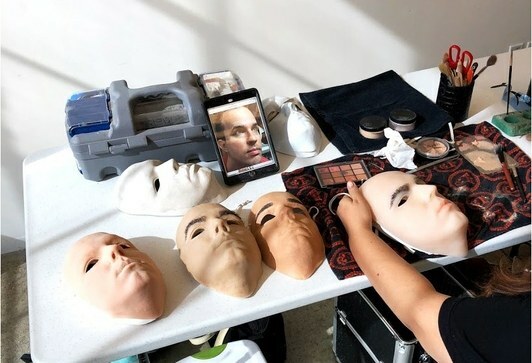 Then on Friday, Vietnamese security firm Bkav released a blog post and video showing that—by all appearances—they'd cracked Face ID with a composite mask of 3-D-printed plastic, silicone, makeup, and simple paper cutouts, which in combination tricked an iPhone X into unlocking. That demonstration, which has yet to be confirmed publicly by other security researchers, could poke a hole in the expensive security of the iPhone X, particularly given that the researchers say their mask cost just $150 to make. But it's also a hacking proof-of-concept that, for now, shouldn't alarm the average iPhone owner, given the time, effort, and access to someone's face required to recreate it. Bkav, meanwhile, didn't mince words in its blog post and FAQ on the research. "Apple has done this not so well," writes the company. "Face ID can be fooled by mask, which means it is not an effective security measure."